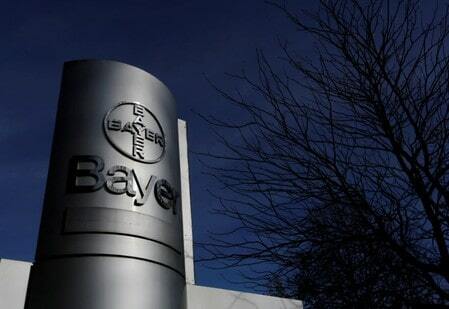 FRANKFURT (Reuters) – Bayer has agreed to sell its established prescription dermatology brands to Denmark’s Leo Pharma, as the German drugmaker focuses on integrating seed maker Monsanto and on bolstering its drug development pipeline. The portfolio to be sold includes prescription skin creams against acne, fungal skin infections and rosacea, as well as some steroidal creams with 2017 revenues of more than 280 million euros ($328 million), both firms said in a statement. Bayer had canvassed suitors’ interest in the business as early as 2016, hoping at the time to fetch up to 1 billion euros, but it balked at a mooted deal with buyout group Avista, sources familiar with the matter have said. Bayer said it would not disclose financial terms of the deal with unlisted Leo, but two people familiar with the matter said that the price tag was below what had Bayer had hoped to fetch in 2016 as some products have since lost patent protection. The transaction does not include Bayer’s over-the-counter dermatology brands such as Bepanthen and Canesten, Bayer added. JP Morgan advised Bayer on the deal, according to a person familiar with the transaction. The investment bank and Bayer declined to comment on this. While the established skin cream brands do not offer high growth rates, they will provide reliable revenues at solid margins because the complex production procedures deter many rivals, said an industry analyst, who did not want to be named. Dermatology specialist Leo said the deal would broaden its treatment range and combining sales and marketing organizations would make it more efficient.